Marwin Gonzalez went 4-for-4 and had the key two-run double in the sixth to push Houston past Cleveland on Saturday in Game 2 of the best-of-five ALDS, 3-1, at Minute Maid. 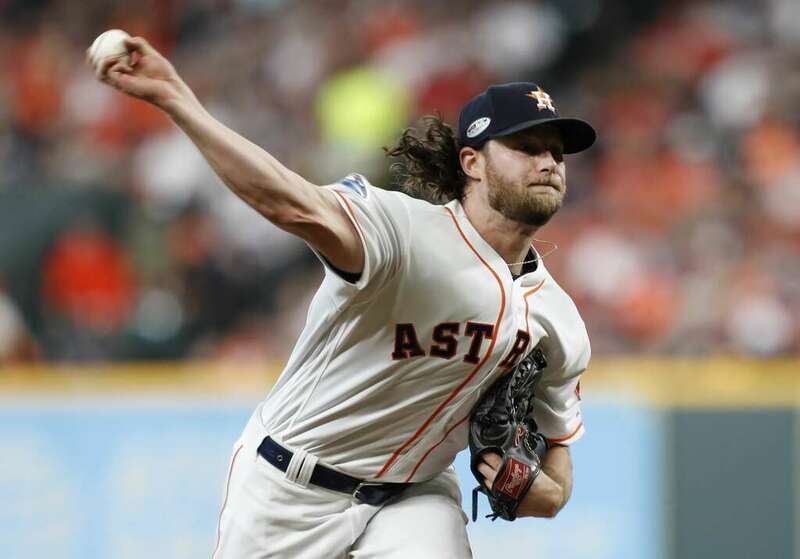 The win gave the Astros a 2-0 lead in the series and they now need to win just once in three tries to advance on to the league championship series (LCS) against either Boston or the Yankees. Alex Bregman scored the go-ahead run then added a solo homer in the seventh to give the bullpen some insurance in the late innings. Gerrit Cole not only outpitched Carlos Carrasco, he also bested the performance of ace starter Justin Verlander from the previous day. Cole gave up a solo homer to Francisco Lindor in the third but, overall, shut down the Tribe on three hits with 12 strikeouts in his seven innings of work. Ryan Pressly and Roberto Osuna silenced the Indians over the final two frames to seal the victory. Cole did not issue a walk in his 98 pitches. With his performance, Cole joined Tom Seaver (in 1973) as the only hurlers to fan a dozen or more batters without allowing a base on balls in a postseason game. Jose Altuve beat out an infield hit to third to open the Houston half of the sixth. Altuve slipped and hurt himself trying to run to first but Josh Donaldson's throw sailed beyond Yonder Alonso's grasp at first. Altuve held despite the bad throw and was checked out by the trainers. He stayed in the game. Bregman drew a walk from Carrasco then Yuli Gurriel hit a sizzling liner that was caught in left. That convinced Cleveland skipper Terry Francona to summon lefty Andrew Miller from his bullpen. The move turned Gonzalez around to the right side but it didn't work as planned. After fouling off a pitch, Gonzalez spanked a double to right that scored Altuve from second and, as Melky Cabrera struggled to get the ball cleanly, Bregman sped all the way from first to slide under the throw home for the 2-1 lead. After a couple of walks reloaded the sacks, Trevor Bauer prevented further damage by coaxing a pop-out before striking out the last batter. Bauer wasn't as fortunate in the seventh when Bregman connected to deep left center over the yellow line for a two-out solo homer that completed the scoring. The two clubs rest Sunday as they fly back to Ohio for the next two games of the series. Monday's contest is tentatively planned for a 12:30 pm Central first pitch (hence the asterisk up top) but may be pushed later if the Brewers or Dodgers sweep their series on Sunday, negating the need for a Game 4 in those series. Lefthander Dallas Keuchel (12-11) is the projected starter against Mike Clevinger (13-8) at Jacobs Field. Keuchel is 4-1 with a 2.79 ERA in eight career appearances against Cleveland. Clevinger is 1-3 with a 3.98 ERA in four starts in his career versus Houston.